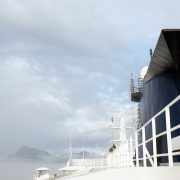 The new IMO regulations on emissions and air quality will have an impact on the health of millions of people but also, the cost of the 0,5% Sulphur cap is expected to be large. It will impact ship liners, crude producers and bunker suppliers. There is no turning back on the 2020 0.5% Sulphur cap deadline. On 1 Jan 2020, it is expected that the operating fuel cost of ships shall increase by at least 10-20% or more. For some cases, if scrubbers are chosen, the increase in fuel cost may be smaller but hefty capital investments would be required. Whatever the choice of ship owners and operators, there shall be increase in OPEX and CAPEX to comply with 2020 0.5% Sulphur cap. Naturally, everyone is scanning for solutions to mitigate these additional costs. Especially the times are uncertain for smaller players as it is not yet clear what will be the cost and best way to ensure the compliance in 2020. The timeline 2020 is getting closer and unpreparedness will certainly result even higher costs. Minority of ship owners have already invested on scrubbers and continue to burn high Sulphur fuel after 2020. The question and concern for many remain what will be the price for 0,5% Sulphur fuel then. BOS Emulsified Fuel System (EFS) has been proven to perform reliably to significantly reduce fuel consumption and emissions on container ships, tankers, bulkers​ and cruise ships since 2011. In most cases, the ROI is less than a year and fuel OPEX is reduced by 2-5%. Dedicated to help ship operators to meet the challenges of 2020 by reducing fuel costs, the company has focused more on testing the system also on MGO. The reference ships have already been running the system on HFO since 2011. Furthermore, the system complements scrubbers by reducing soot and PM emission. ​Recent case-study and results: ​​In Feb 2018, the BOS team successfully switched an ​installed ​EFS from HFO to MGO operation on a luxury cruise ship while berthed at the cruise terminal in Singapore. The system operated MGO for 3 hours at the terminal without any reported problems and achieve a measured fuel savings of between 3 to 4%. No chemical additives were needed​ to produce stabel emulsified MGO.​ The gained 3-4% fuel saving is significant especially in the view of the impending 2020 0.5% Sulphur cap. ​Although the 3-4% savings measured were reliable due to the steady weather and load conditions at berth, generally, on the side of prudence, longer term operation would be required to establish the long term savings under all weather and load conditions and effects on the engine conditions. The cost is the major decision factor when choosing the path how to become compliant in 2020. Perhaps we should view the path more as a combination of solutions.